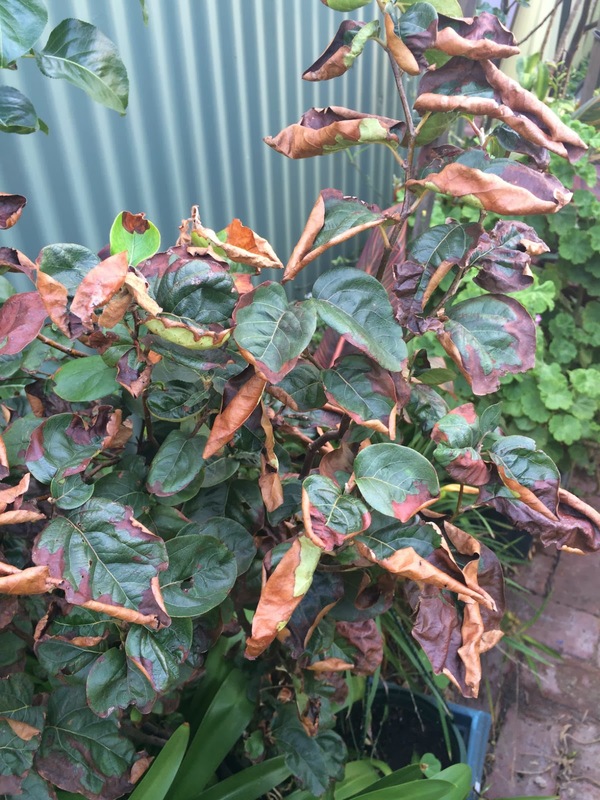 While the plants have survived the heatwaves they have stopped producing - flowers are not setting fruit. As the weather cools I'm hopeful we will see a last flush of produce! This bed has been so successful however, that I want another one! It's probably time that I broke that news to John! Elsewhere in the garden the zucchini are now flowering profusely - I just need a few more female flowers! 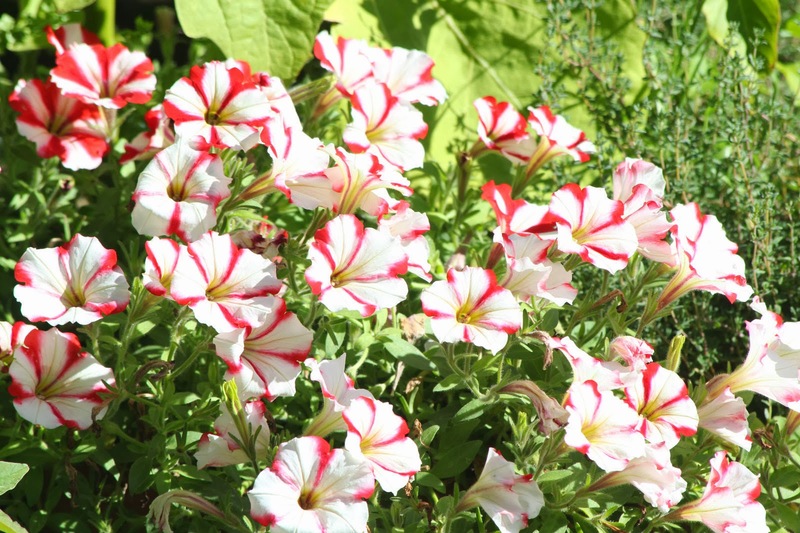 These candy striped petunias have flowered profusely since before Christmas. With regular watering they have coped with the extremes of weather we have experienced over the last weeks. I've been growing a most beautiful quince from seed. 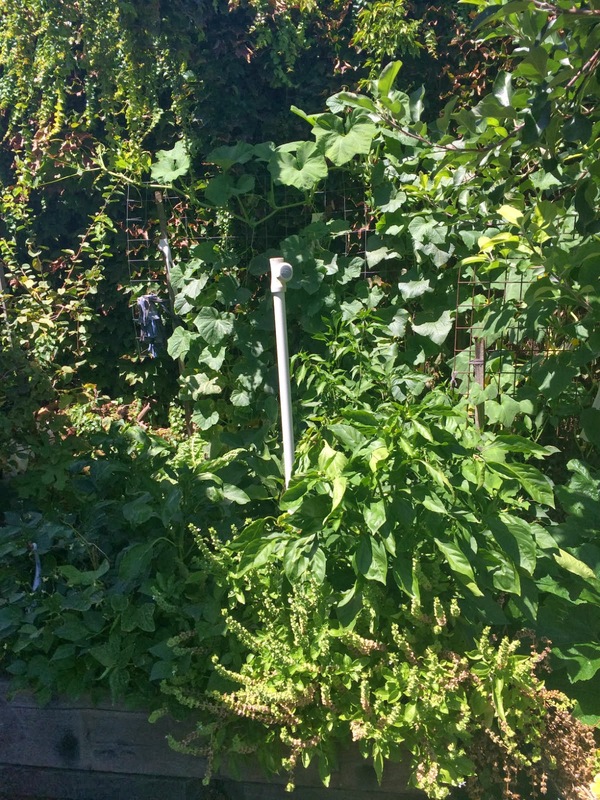 It had done really well until the last blast of heat in the last heatwave. Hopefully it will recover with some TLC! Not only have we had heatwaves - between them we've also had flooding rains here in Adelaide! 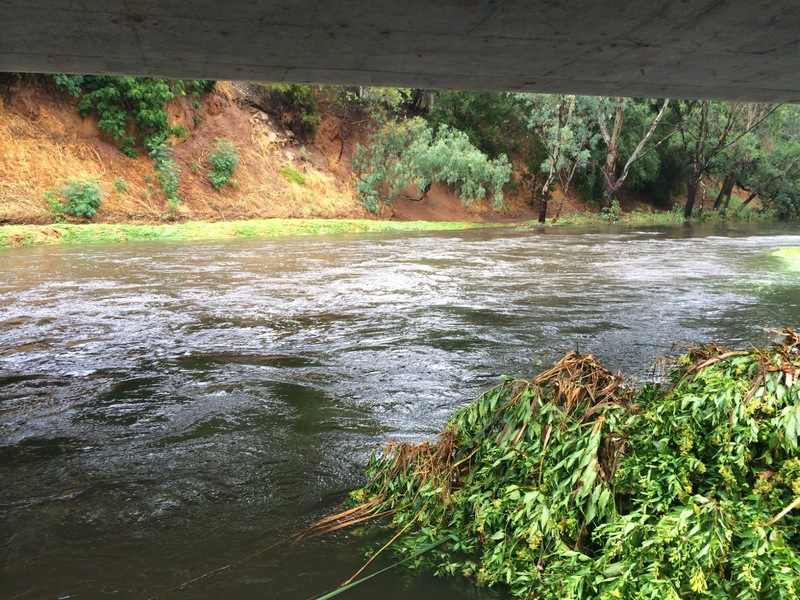 The picture is of the River Torrens which is nearby. These little guards foiled the birds! They had previously picked the juicy stems of the Laurentia plants off at the base. Clever idea, John! 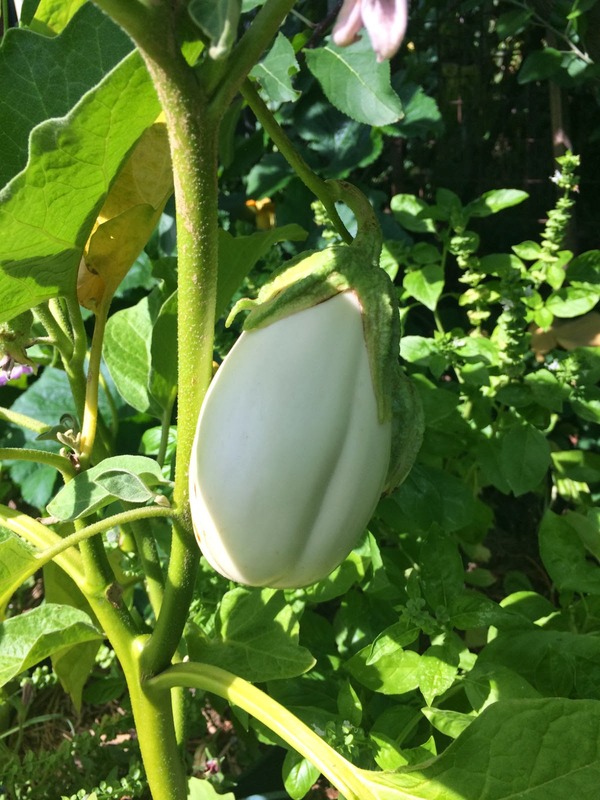 This white eggplant is growing very happily in a large pot. This is our first fruit almost ready to pick! 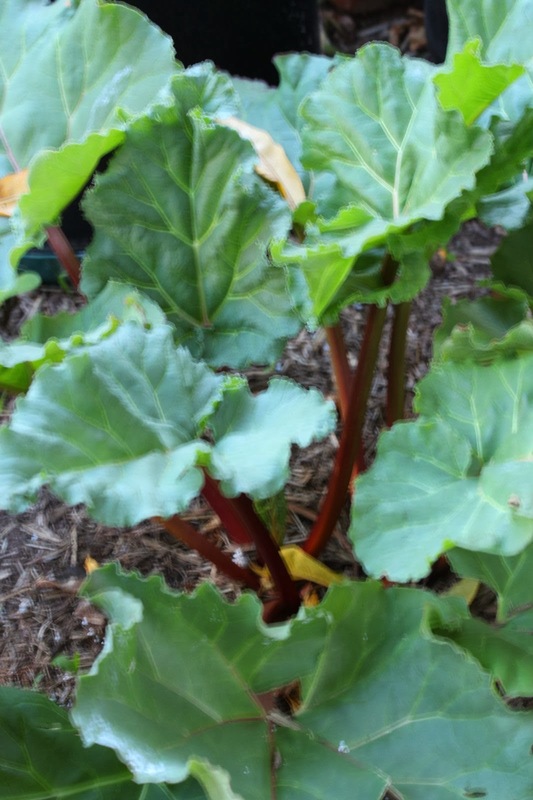 The Rhubarb is Teasing Me! 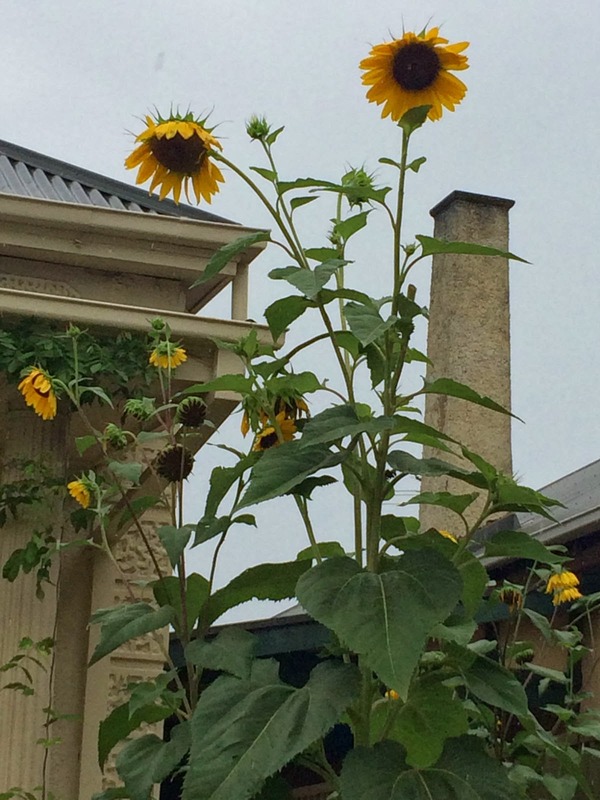 This gorgeous sunflower is growing in a garden nearby. It is gi-normous! Is that a word? 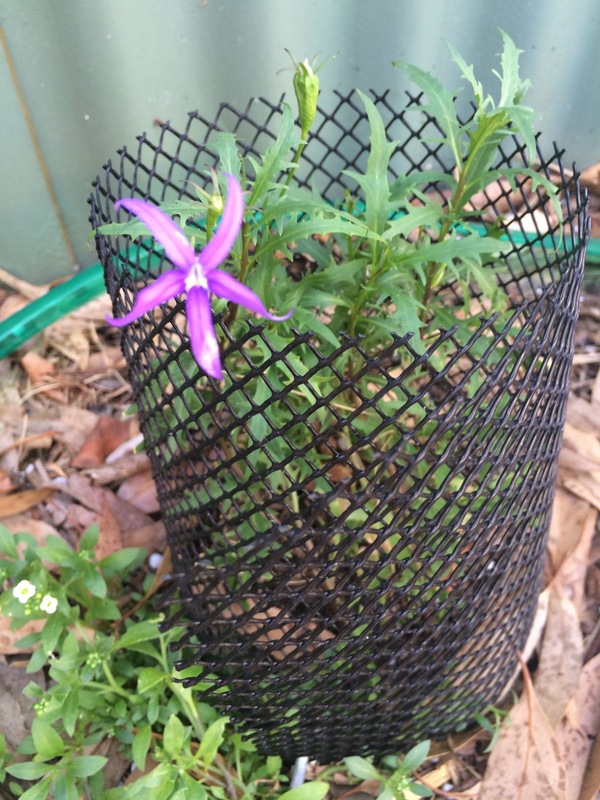 I am inspired to plant some next season! Charlie - gorgeous grandson Number 3 - is a budding gardener! He loves his rake and gardening gloves - and helping with watering the plants! Pretty cute isn't he! 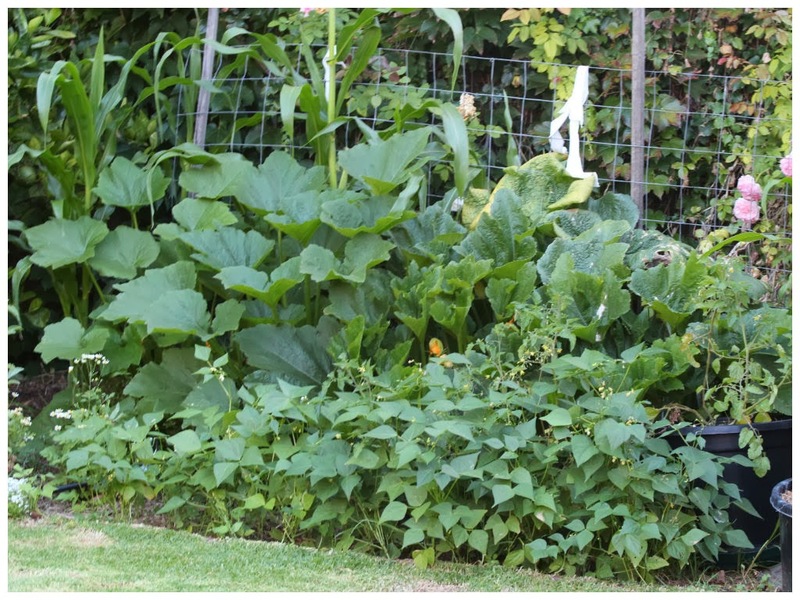 How's your garden growing this month? What are you doing to prepare for the next season? Do share your plans with me! Happy Gardening!